Hull City twice came from behind to rescue a point as Steve Bruce's side got their Championship play-off push back on track at Huddersfield. Jamie Paterson fired home a left-foot shot to give Town a half-time lead. Abel Hernandez levelled with a left-foot volley on 76 minutes, only for Harry Maguire to then head into his own net in the final minute of normal time. But Adama Diomande headed the Tigers level again at the John Smith's Stadium with a 93rd-minute equaliser. The result still leaves Bruce's men with only one win in nine matches, but it was still a positive response to Tuesday night's 4-0 defeat at Derby. Huddersfield were well worth their lead fashioned from a fine sweeping move down the left which finally saw on-loan Middlesbrough defender James Husband square for Paterson to find the bottom corner for 12 yards to mark his 200th career appearance. After visiting manager's son Alex Bruce fired over from six yards on the stroke of half time, it looked as if the Tigers' poor run of results was set to continue. It took some fine saves from Allan McGregor to keep the score level before Hernandez equalised. It looked as if Huddersfield had then won it when Harry Bunn's left-wing cross was turned into his own goal by Maguire, but substitute Diomande headed home a deflected header at the far post to secure a draw. Hull remain fourth, nine points behind second-placed Middlesbrough while Huddersfield, who came into the game on the back of successive defeats by Middlesbrough and Sheffield Wednesday, are now nine points clear of trouble. "I am long enough in this business to know it is only over when the final whistle comes, but this is a very strong side. "We were a little bit unlucky that there was a touch and we were not unable to avoid the header, but mistakes happen. It is part of the game. "The timing was not the best today, but I am satisfied with the performance, with the reaction after the last game on Tuesday, when we criticised ourselves. "We asked ourselves to show the right reaction against another very strong side and this is what we did." "I have to say (automatic promotion) looks a bit remote at the minute because just at the wrong time we've stumbled. "However, if we have to go through the play-offs, we have to cement our position in the play-offs first. "There's six games to go and we can still get 18 points, which would take us to 88 points. "Hopefully the goal from Abel Hernandez will kick-charge him in, but we've shot ourselves in the foot by missing big opportunities." Match ends, Huddersfield Town 2, Hull City 2. Second Half ends, Huddersfield Town 2, Hull City 2. Jake Livermore (Hull City) wins a free kick in the attacking half. Attempt missed. Jake Livermore (Hull City) right footed shot from outside the box is high and wide to the right. Assisted by Adama Diomande. Goal! Huddersfield Town 2, Hull City 2. Adama Diomande (Hull City) header from the centre of the box to the bottom right corner. Own Goal by Harry Maguire, Hull City. Huddersfield Town 2, Hull City 1. Emyr Huws (Huddersfield Town) is shown the yellow card. Tom Huddlestone (Hull City) wins a free kick in the attacking half. Attempt missed. Sone Aluko (Hull City) left footed shot from the centre of the box is close, but misses the top left corner. Assisted by Tom Huddlestone. Delay in match (Hull City). Attempt missed. Mark Hudson (Huddersfield Town) header from the centre of the box is close, but misses to the right. Assisted by Jamie Paterson with a cross following a corner. Substitution, Huddersfield Town. Joel Lynch replaces Martin Cranie. Corner, Huddersfield Town. Conceded by Ahmed Elmohamady. Alex Bruce (Hull City) wins a free kick in the defensive half. Goal! Huddersfield Town 1, Hull City 1. Abel Hernández (Hull City) left footed shot from the centre of the box to the bottom left corner. 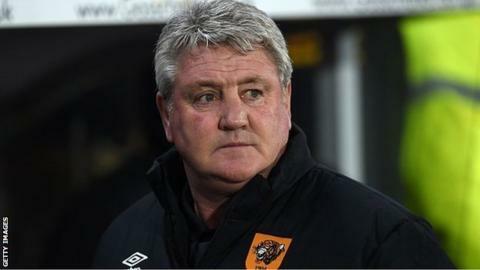 Substitution, Hull City. Sone Aluko replaces Robert Snodgrass. Substitution, Hull City. Adama Diomande replaces Mohamed Diamé. Attempt blocked. Tom Huddlestone (Hull City) left footed shot from outside the box is blocked. Assisted by Robert Snodgrass. Substitution, Huddersfield Town. Harry Bunn replaces Rajiv van La Parra. Attempt missed. Robert Snodgrass (Hull City) left footed shot from outside the box is just a bit too high from a direct free kick. Robert Snodgrass (Hull City) wins a free kick in the attacking half. Attempt missed. Joe Lolley (Huddersfield Town) right footed shot from outside the box is high and wide to the right. Assisted by Nahki Wells. Harry Maguire (Hull City) is shown the yellow card for a bad foul. Foul by Harry Maguire (Hull City). Attempt missed. Abel Hernández (Hull City) header from the centre of the box is just a bit too high. Assisted by Andrew Robertson. Tom Huddlestone (Hull City) hits the bar with a right footed shot from outside the box. Assisted by Shaun Maloney. Attempt saved. Nahki Wells (Huddersfield Town) left footed shot from outside the box is saved in the centre of the goal. Assisted by Tommy Smith. Corner, Huddersfield Town. Conceded by Allan McGregor. Attempt saved. Emyr Huws (Huddersfield Town) header from the centre of the box is saved in the top centre of the goal. Assisted by Jamie Paterson with a cross.